July 21st, the #671 YTMC regular meeting was held at Hatoba-Kaikan. It was a second meeting since new officer’s term have started. And it was extremely hot day, but the meeting started on time with many existing members and 3 guests. At the very begging of the meeting, our new President TM F provided his passion for new term with his new slogan, which is ‘Challenge Together, Support Together, and Smile Together’. And then, one of today’s guest, TM S who is new Area54 Director conducted a special award presentation. TM F and TM N were presented with Competent Communication (CC) Award and TM S was presented with Advanced Communicator Bronze (ACB) Award. Congratulation, TM F, TM N and TM S!!! After that, TM M introduced Today’s Word of the Day, which was ‘beneficial’. He gave us a great example and it was ‘Yokohama TM Club is a very beneficial place’. It was a familiar word for us, so many members used this word during the meeting. Then, meeting baton was passed to me, Toastmaster of the Day (TMOD) and continued the meeting. Today’s first session was ‘Joke Session’. TM K who has more than 10 years Toastmaster’s experience took this role. He provided us 3 humorous joke stories. Thank you, TM K! Next, today’s Table Topic Master was TM N and he run this session very smoothly and provided 7 questions. All questions were not easy to answer, but it means his session was great training for all members to improve our prompt speech skills. During Prepared Speech Session, 4 prepared speakers gave us speeches based on different manuals and projects and every speech entertained us. TM K made a speech about one of his hobbies, ‘Horse Racing’. His speech was included his personal story and it was very informative about horse racing. TM N who is fluent in speaking English gave us a wonderful ‘Story Telling’ speech about her memory of early childhood. Although her project’s speech time was 6-8min, which was longer then usual, she did a great job without a speech script. TM F who is our new president also gave a speech about one of his hobbies, which was activities of Yokohama Toastmasters Club!! He explained us why he likes YTMC and why YTMC is beneficial place for him. He also sang a song at the begging of his speech and during his speech and it made us so fun! Last speaker was TM S who is very experienced member. He also provided us a very informative and educated speech, which was about career development and support program for post doctors. He explained us using some Power Point slides and those slides and those materials were very effective and easy to understand for us. Even his speech time was 10-12min, he finished his speech 12min 30 seconds sharp!! What a great job!! All speakers did wonderful performances!! After the short break, TM S conducted an Evaluation session. Although, it was his first challenge as General Evaluator, he did well-prepared for this session. 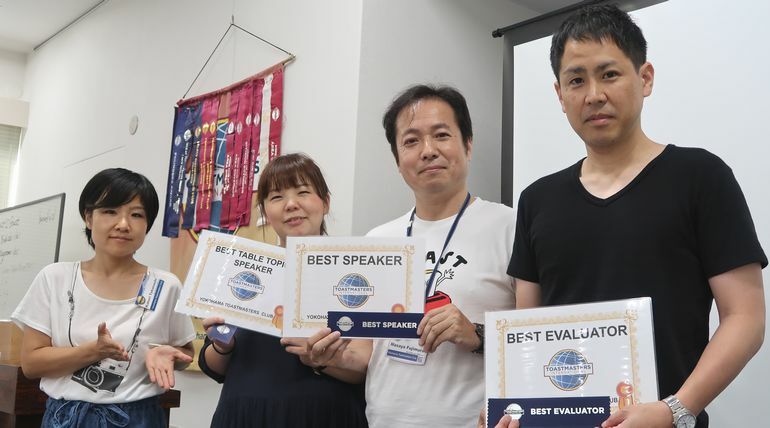 4 Evaluators (TM O, TM M, TM A and TM T) performed wonderful speeches although all prepared speaker’s speeches were high-quality, and it was not easy to find some advices for those speakers. They gave both good advices and some room for improvements. TM S, General Evaluator provided us very positive and educated evaluations for all role takers including me. Thank you! Right before the end of the meeting, new role ’Agenda Timer’’, TM T gave us a Timer’s Report. some changes and awareness of time management for all members and our every meeting. Thanks to all role takers prompt support, I was able to make my preparation for the meeting smoothly. Also, during the meeting, all role takers did well-prepared for their roles, the meeting run very smoothly without any trouble and issues. Overall, the meeting was very educated, fun and enjoyable!! I really appreciate all members kind and big support!! Thank you very much! Next meeting will take place on August 4th at Hatoba Kaikan. 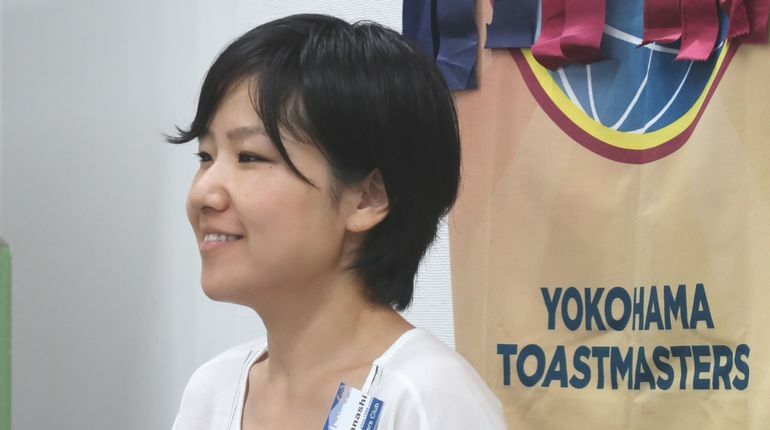 YMTC’s #670 regular meeting took place on July 7 at Hatoba Kaikan. It was the first meeting supported by new officers. President F gave us President’s Address & Briefing at the beginning of the meeting, and showed us our club’s slogan, “Challenge Together, Support Together, and Smile Together”. We got off to a good start in a happy mood. We agreed in a unanimous the suggestion, from TM O, that YTMC is to purchase a new NIKON camera with high pixels. It belongs to YTMC. TM H lead table topic session. 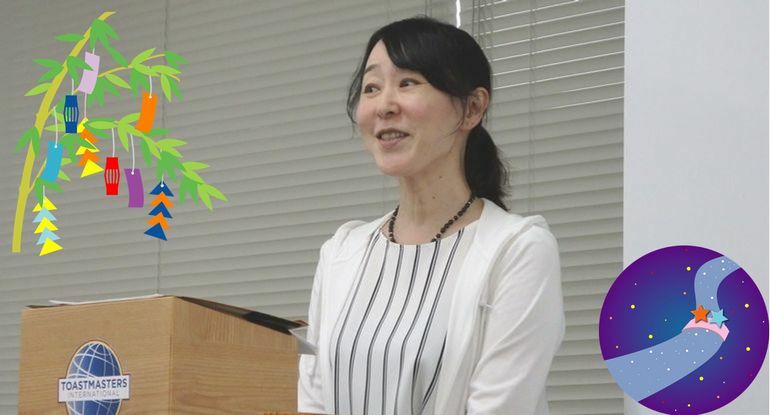 She prepared questions related to Star Festival, a.k.a. Tanabata in Japanese, and stars (famous people). I’m touched with the attitude of TM H, a native Thai, who googled traditional Star Festival terms such as Orihime, Hikoboshi, Tanzaku. TM T rarely paid attention to Star Festival after grown up but she learned the meanings of ornaments for the Festival while she googled how to make Star Festival ornaments for her daughter. A lot of members appeared to nod in agreement at her story. She won the Best Table Topic Speaker. The prepared speeches from four speakers were really impressive. TM O gave us his very first Ice Breaker speech in a poised tone of voice. He shared his life story with us including a reason he came out to the “Bigger World”. TM T’s speech had an uplifting feeling with vocal variety. TM O, whose star is John F. Kennedy, told us three essential elements for a great speech. A lot of members was listening to his speech with curiosity. The fourth speaker was TM I. The contents of his speech were not so easy to understand but he explained in easy words for us to understand. Slides was a good help for the audience. The Best Prepared Speaker was TM O who talked about great speeches. Evaluators gave speakers compliments and also pointed out areas that speakers can improve more. Not only speakers in today’s prepared speech session but all of the club members can learn from the feedbacks. The Best Evaluator went to TM A.
I was able to send out the meeting agenda on Thursday night thanks to all role takers’ prompt actions. I appreciate your quick email replies despite your busy schedule. I made some mistakes as TMOD but made it through the meeting with huge support from YTMC members. I will use the feedback, which I received from fellow members, to improve my work for next opportunities. Next meeting will take place on July 21 at Hatoba Kaikan.